What I learned in my time traveling around is that every island offers a little bit of the Fiji magic and that you can get a great feel for the Fiji experience even with just one island tour. There are over 300 islands that make up the South Pacific Republic of Fiji. Not all of them are populated and not all of them have the infrastructure to accommodate tourists, but what I learned in my time traveling around is that every island offers a little bit of the Fiji magic and that you can get a great feel for the Fiji experience even with just one island tour. Having an idea of what to expect from visiting some of the islands can really help to narrow down where you want to spend most, if not all, of your time. These highlights from the islands I explored should help you plan your trip. 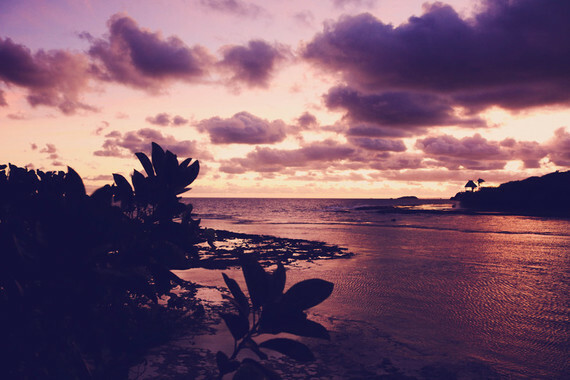 When it comes to sunsets, Fiji's got theirs down. Photo by Girl Gone Travel. Viti Levu is the largest island in the Republic of Fiji and the base for the Nadi International Airport. It is where the capital city of Suva is located, and thus where most of the Fijian population can be found. If you are curious about city life in Fiji, this is a great place to start. 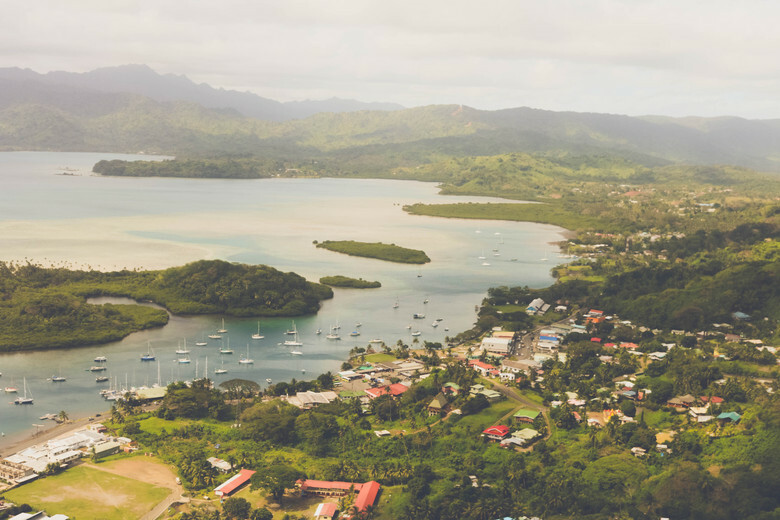 Suva features the fun - nightclubs, museums, restaurants, bars, and shops, and not so fun - traffic and congestion, that can often found in larger cities. It's also known for its rainy days. 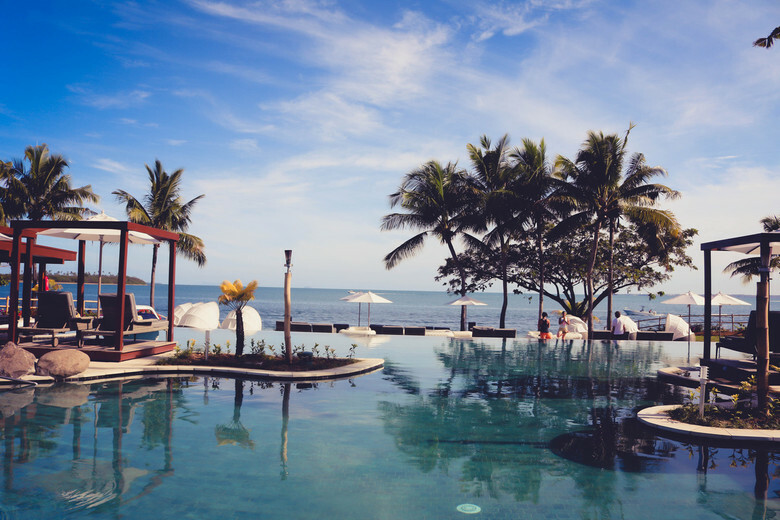 If you want to spend some time exploring the city, a great place to stay is the Sofitel Fiji Resort and Spa on Denarau Island, home of many of the larger chain hotels frequented by visitors around the world. The rooms are spacious and comfortable, the menu offers local and standard favorites, and the beach is a haven for relaxation after a long plane ride. Pool and beach view from the Sofitel Fiji. Photo by Girl Gone Travel. About 2 hours from Suva, along the Pacific Harbor, you'll find Nanuku, a smaller town that serves as a beautiful escape from the hustle and bustle of the big city. I felt I could breathe here and absolutely loved both the local and expat community. I especially enjoyed my stay experience at the luxurious Nanuku Auberge Resort. This resort exceeded any expectations I had for an all-inclusive. The food was incredible - some of the best I had during my whole stay traveling through Fiji - and the villas were to die for. It's a full service resort with everything from salon to fitness center and even offers a cultural center where events and activities are held to introduce visiting guests to local cultural knowledge. 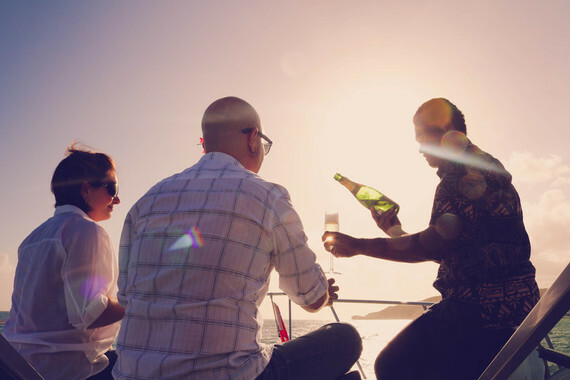 The sunset cruise with Nanuku Auberge Resort is a must. Photo by Girl Gone Travel. While you're here, don't miss out on the a white water rafting tour. It's more than just a water adventure tour, it's an exploration through one of Fiji's most beautiful natural landmarks, the Navua River, and it's perfect for all ages. You can take a ferry, boat or plane into this south coastal town of Vanua Levu island. The location is serene, lush, and beautiful. The town center is small and intimate, but you can still easily lose track of time while admiring the shops and connecting with the locals who are always more than happy to make your acquaintance. The plane ride is bumpy, but the views are awesome. Photo by Girl Gone Travel. The most famous Fijian pearl farm is located here and one of the things to do when in town is to take a tour to see how the pearls are harvested. A stay at one of Koro Sun's water bures is a great experience. The bures at Koro Sun Resort. Photo by Girl Gone Travel. I recommend you start your day with a hike through the adjacent rainforest to search out waterfalls, a dive to see fish, both big and small, or just a little relaxation on your private hammock. 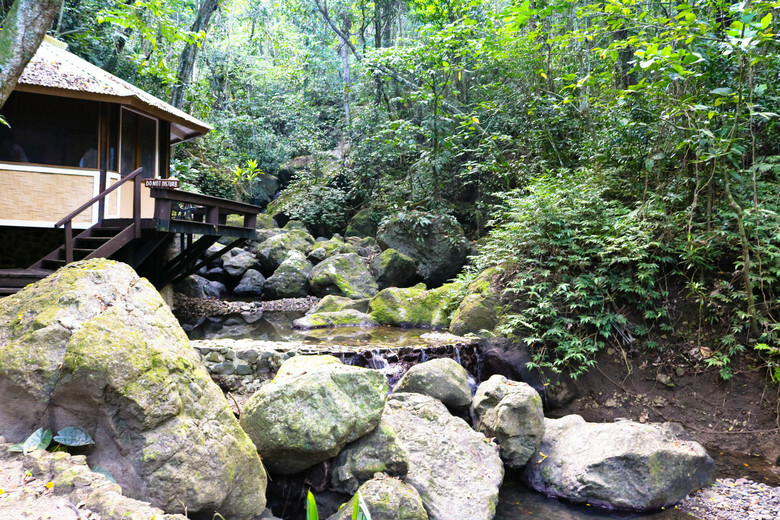 I indulged in a spa treatment, if only because the spa was located in a hut in the middle of the rainforest near a waterfall and I couldn't ever imagine when so many things I love would ever come together like that again. Spas, and rainforests, and waterfall. Oh, my! Photo by Girl Gone Travel. 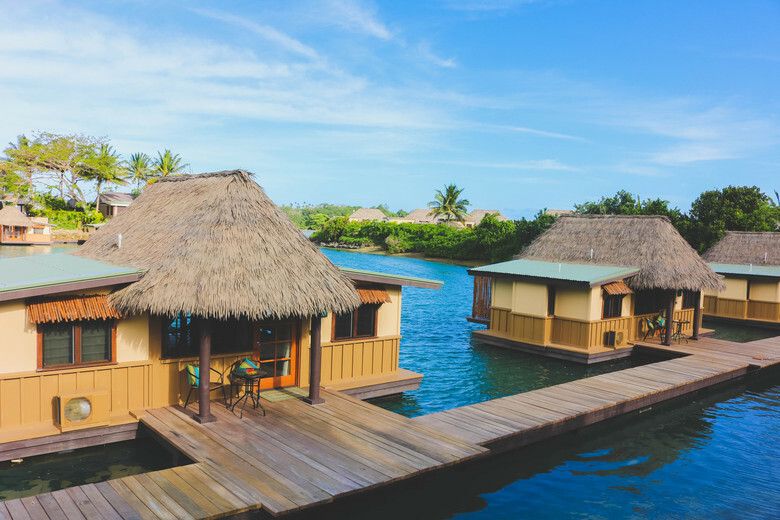 The nearby Savasi Island is another beautiful private island location, made up of lava rock, that was transformed into a luxury retreat for couples and families. The resort offers excursions to nearby activities, such as kayaking in the nearby Salt Lake or snorkeling in the reef right off the island. Or you could choose to lounge in your villa, pool, or in the main lobby area, where you'll be surrounded by the sounds of waves crashing against the nearby coral reef. 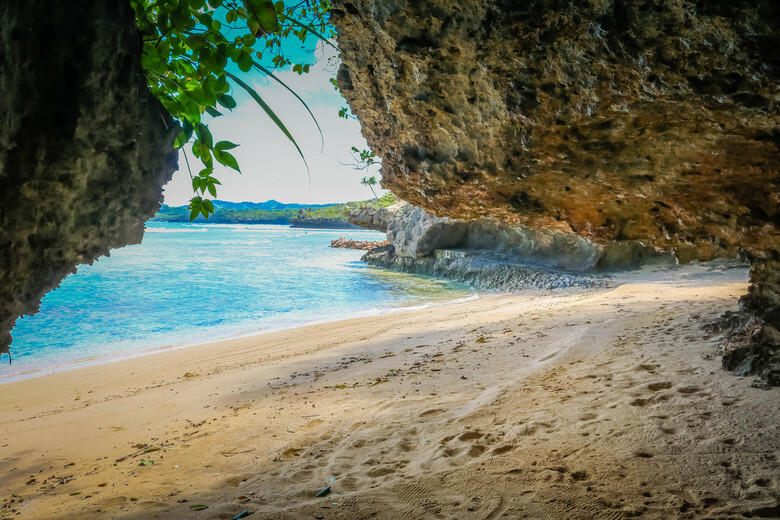 One of the hidden beaches of Savasi Island. Photo by Girl Gone Travel. Known as Fiji's Garden Island, Taveuni is small, but offers many fun things to do and see. 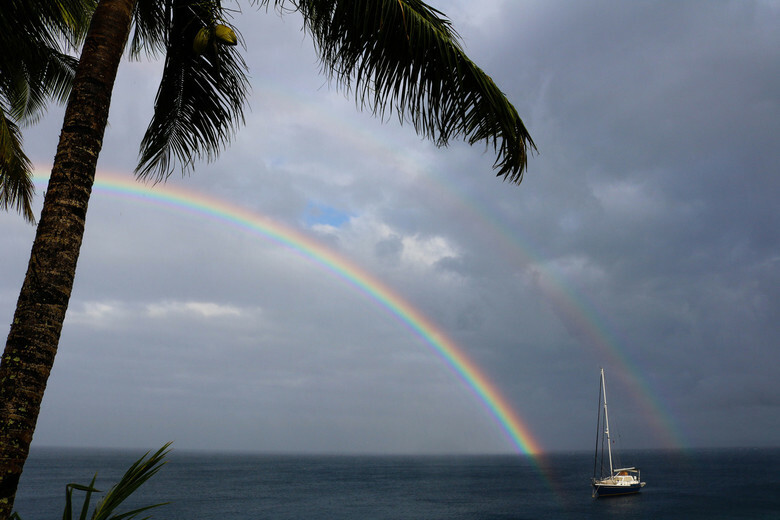 I'd say that Taveuni is an adventure traveler's paradise, or at the very least a nature lover's dream come true. Hiking the Bouma National Heritage Park and cooling off in its waterfalls, snorkeling the Rainbow Reef or diving the White Wall, exploring the beautiful villages and touring the historic sites are just a few of the things to enjoy here. Paradise Taveuni is my resort of choice. It's a bit off the beaten path, but the grounds are gorgeous and the staff that works there further complement the experience. Access to snorkeling right from the resort without the need to go out on a motorboat was a plus, though of course they offer excursions on land and out to sea, as well. Professional divers will especially love the cool storage room they have for large photography and filming gear, something which I didn't see anyone else offer. What a fitting name for a resort! Paradise indeed. Photo by Girl Gone Travel. Yasawa was the smallest of all the islands I visited and also the most laid back. The island is home to 6 villages, which is surprising for its size. It is also where you can find some of Fiji's most beautiful beaches. 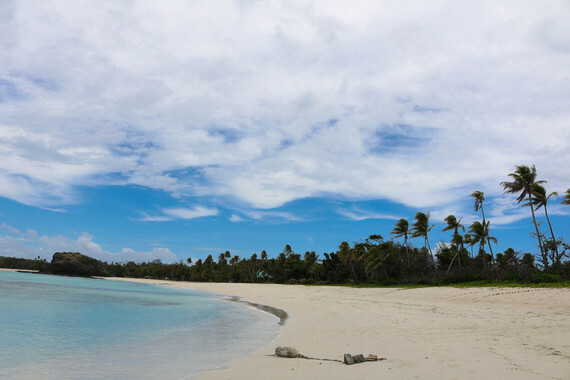 It is not a crowded or busy island, so finding a beach that you can enjoy all to yourself is very likely. I suggest staying at the Yasawa Island Resort, but don't expect a lot of lively activities here. This is a place of relaxation and though some may find that all the serenity is not their cup of vacation tea, I personally found it to be a heavenly experience and a beautiful contrast from the noise and busyness from my daily life. The massages by the beach are swoon-inducing. Beautiful, secluded beaches? Check! Photo by Girl Gone Travel. Explore the village, go hiking, or take a diving or snorkeling trip. Kids will especially enjoy exploring for seashells, of which there are often many. If you're jetting in from New York City or the East Coast, the trip can be kind of daunting. Most of the travelers I met were from Australia and New Zealand, and many of the Americans were from California - only a 10 hour plane ride away. Fiji Airways will become your best friend as it is the only airline that flies from the U.S. to Fiji, with daily direct flights out of Los Angeles and twice a week directs from Honolulu. In addition to getting you there, Fiji Link is the main commuter link between larger islands. I was a bit worried that the only available flight wouldn't meet my standards of comfort and service, but I am happy to report that this was not the case. It was a positive experience not only from LA to Fiji, but also during island transfers. It was also my first taste of the famous Fijian hospitality, something which greeted me at every single point during my visit. Island hoppers might also experience taking even smaller planes, provided through aptly named companies such as Island Hoppers, to locations where the air strips might not be able to support larger planes. Some visitors even opt to fly in on helicopters, but that's the more costly option. I relied mostly on Pacific Destinations to transfer from hotels to airports, but some hotels offer transfer shuttle services and I saw a lot of tourists renting cars. Driving in Fiji seems easy enough as most islands aren't very crowded, but it's important to note that the driver is on the right hand side and you drive on the right hand side of the road, something that can be tricky if you are not used to it. There are also areas where there is no cell signal, so if you're counting on relying on your phone's GPS to get around, you might find moments of black out. Though you may arrive to Fiji excited about the water sports, looking forward to the sunsets, and with plans to spend a lot of time on the beach, what you will walk away most impressed with are the people, their cultural pride, and the joy with which they share it all with those who visit. To me, that is what makes Fiji the paradise that it is. This post, which first appeared on the Findery Blog, was written by Carol Cain of Girl Gone Travel, on behalf of Findery. Follow more of her travel adventures on Findery.